Published: Oct 26, 2015. 15:31 +0100. SiteGround has recently announced the launch of a new WooCommerce plan called the “ WooCommerce Bundle “ which comes preinstalled with premium plugins, automatic SSL Configuration and is based upon their fantastic GoGeek Plan. SiteGround’s GoGeek plan is their highest level Shared Hosting plan and contains a whole host of features such as Site Staging, SuperCacher (NGINX + Memcache), SSD storage, Free SSL, PHP 7 + OpCache. Our review either covers these features and links to more in-depth articles about them, which you can read here. When you first sign up to the WooCommerce Bundle, you will find that WordPress and WooCommerce are preinstalled by default. 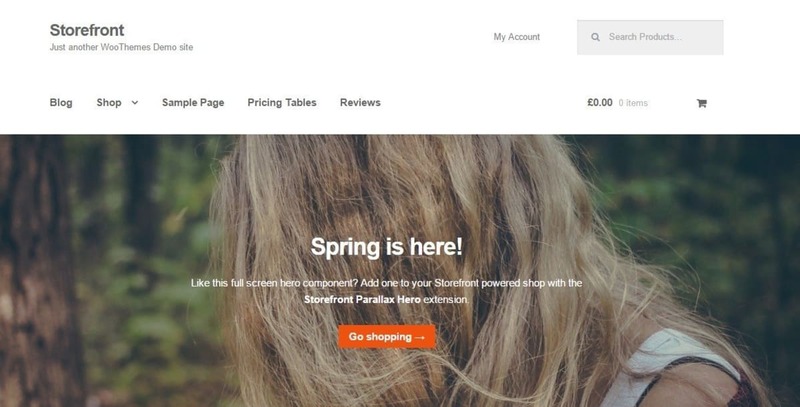 There are of course some great Child Themes available for Storefront, or indeed you can even just purchase a WooCommerce ready theme from Themeforest. Either way, there are plenty of choices to make your website your own. As part of the WooCommerce bundle, you also get a subscription to the VaultPress Backup Bundle. This includes VaultPress Lite and Akismet Plus and is worth $9 per month or $99 per year. Akismet Plus + VaultPress Lite Subscription. © Screenshot. These happen to be the two products we use ourselves. Akismet Plus is the premium comment spam filter. You can read more about how you can use this to stop comment spam with this tutorial. Most people we imagine do not purchase the premium, but if using it for business purposes (which presumably a WooCommerce store is), you need the paid version to abide by their license. VaultPress Lite is a backup system that automatically backs up your website to a third party server each day. We always recommend implementing a third party backup system, no matter how great your host is, and VaultPress is the one we use ourselves (we use the real-time VaultPress backup for $15 per month), but if you don’t update your content regularly then VaultPress Lite is more than good enough. One great thing about VaultPress is that it allows easy restores to a new server should you ever need to (not that you will need to with SiteGround as they are reliable), but it is worth mentioning. While the GoGeek plan comes with a free SSL, the point they are trying to make with the WooCommerce bundle is that SiteGround will not only install the SSL certificate for you, but they will configure your WordPress installation to use the certificate (i.e. use HTTPS). We are big fans of the SiteGround GoGeek plan (we use the Cloud, but also maintain a GoGeek subscription), but if you are relatively new to WooCommerce, then this is a great hosting plan. The fact that you can get up and running with spam filtering, external backups, and SSL it is a no-brainer in terms of ease of use. The only thing we would mention is that the default premium subscription to Akismet Plus and VaultPress Lite may not be suitable. 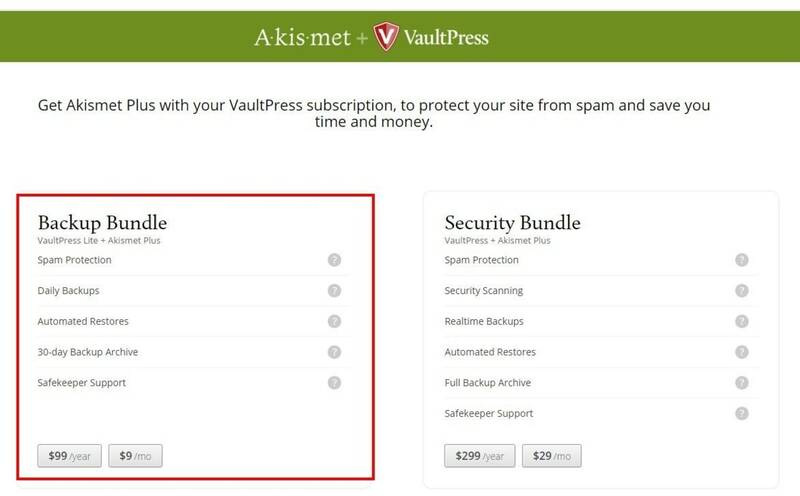 For instance, if it is just a hobby website you may not want Akismet Plus, but equally if you make lots of changes, or have lots of transactions, we would recommend the full VaultPress subscription that backs up in real time (this is what we use). Regarding pricing, the Premium subscriptions do not appear to be discounted, so you may want to get a cheaper plan (i.e. Growbig) or the GoGeek plan separately and purchase the Premium subscriptions at VaultPress separately.